“[The new location at 746 Warren Street has] seating up to 80 patrons, and another 30 in the spacious courtyard, which is undoubtedly one of the dreamiest outdoor dining spaces in town. 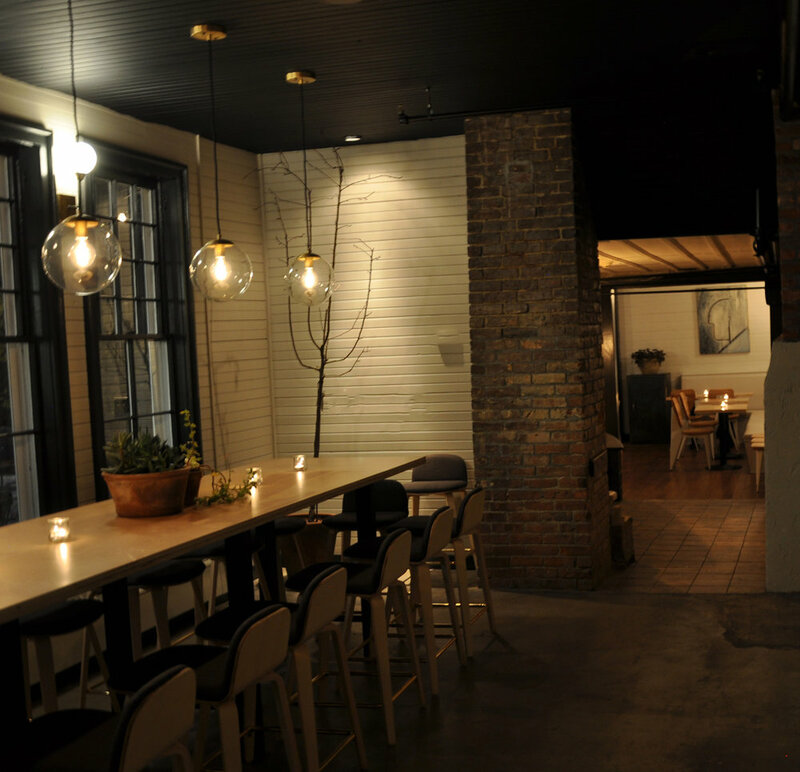 Hudson Food Studio hosts private events throughout the year. We can book all or parts of the restaurant for private events. Our space includes a large front dining room with large bar; a large interior dining room, overlooking the garden; an intimate dining space with one large table; and a rear dining room overlooking the garden. Our garden is open seasonally and overlooks the glass enclosed kitchen.